While I love shooting cars, my true passion is driving them. And just like everyone else on the team, I can’t get enough of it. One of my favorite things to do is combine my two passions and use my 240Z project, Ole Orange Bang, as a camera chase car to shoot videos like this one. 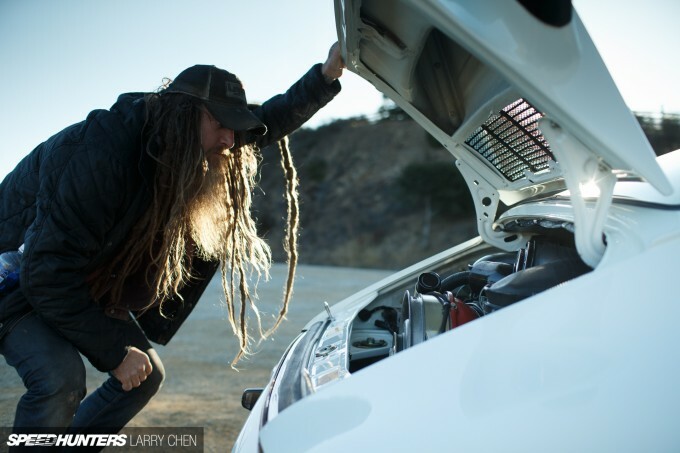 I was up at Pebble Beach this year with a Porsche 991 press car, when Magnus Walker called and asked if I could help him. 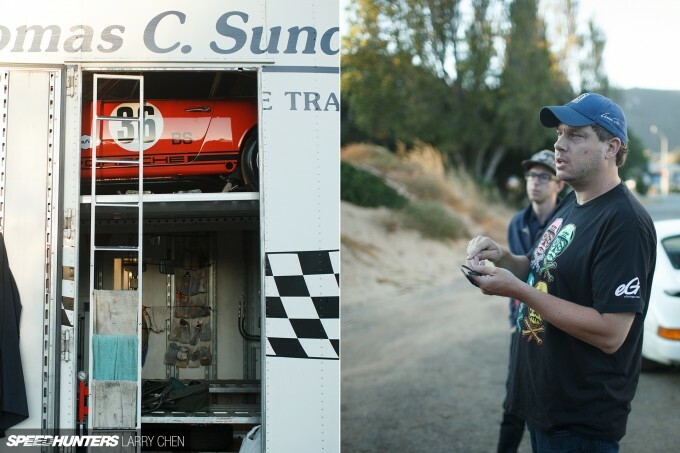 His buddy Fraiser from eGarage was shooting a video with some of the Ingram Collection cars. 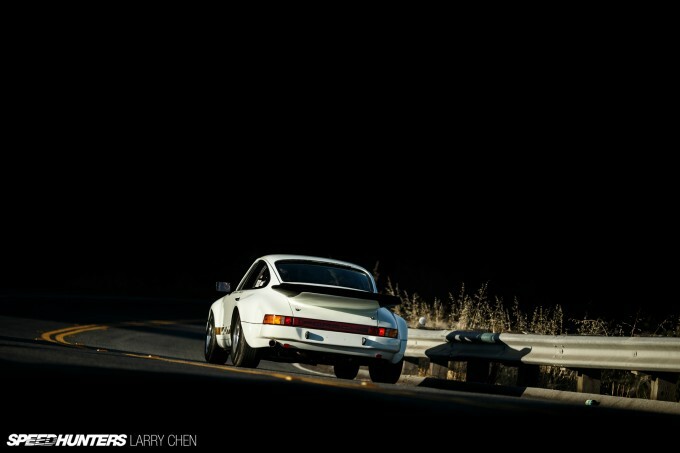 Larry: You always tell me about OPP – other people’s Porsches. You love driving other people’s cars because they all have their own quirks and things that stand out to you. Tell me about the ’74. 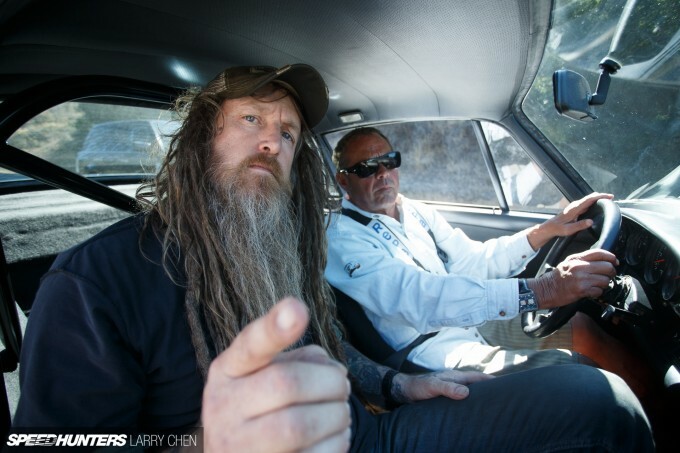 Magnus Walker: Let me back up slightly and I’ll tell you about the Ingram Collection. 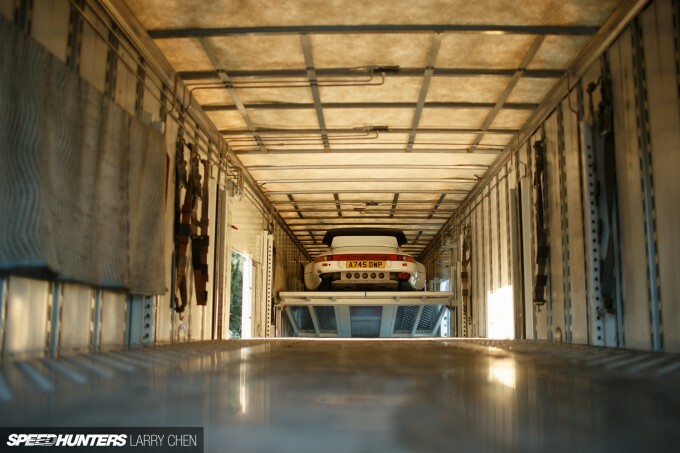 You know, Ingram is often described as the ideal Porsche collection. 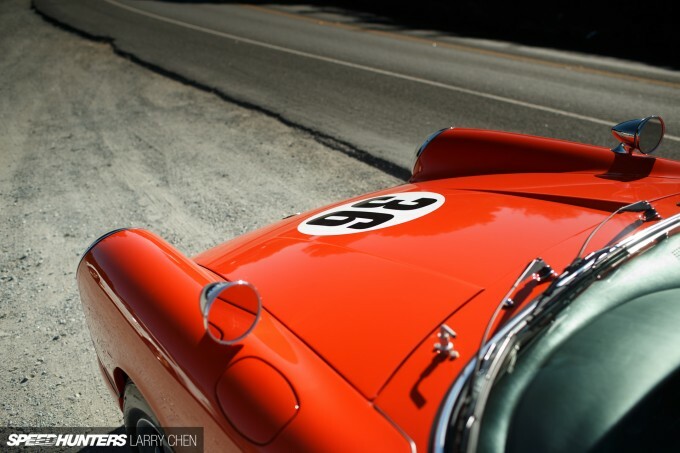 They’ve got everything from a Gmünd coupe all the way up to the 918, so they basically cover everything from the very beginning; the 356 all the way through [to the modern cars]. One of the things that makes the collection really special is their ability to share it with regular guys like me. There’s a lot of people out there – you know, rich fat cats, who have car collections that mere mortals never see because they’re locked away. The great thing about the Ingrams is that they share the collection. We met them about two years ago, and long story short, they ended up acquiring the STR. Their collection is really all factory original, low volume production cars. The STR was the only car they’d acquired that was sort of not a factory built car. So we established a good relationship with the guys and have done several events with them over the past two years. 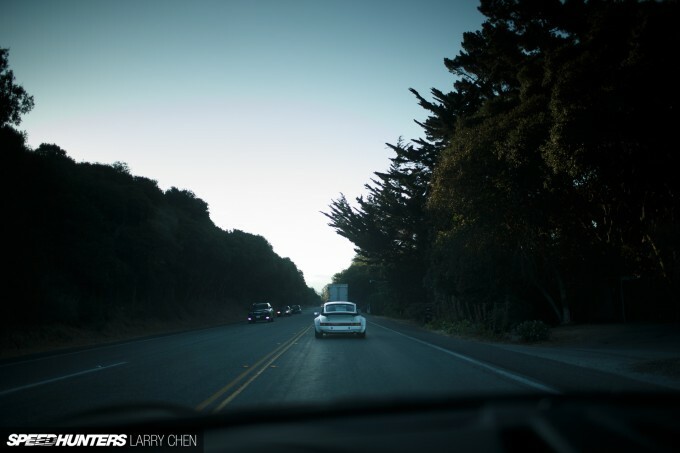 There were two cars we drove in Monterey. There was the ’68 L Trans-Am car, which was 1 of 28 made. 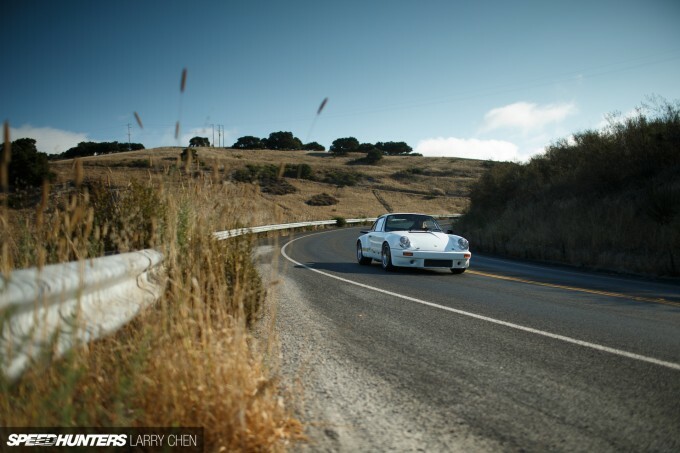 That’s a 2-liter, short wheelbase car, and one of my favorite moments up there was when I was driving it and passed a Gemballa Carrera GT and a 918 on Carmel Valley Road. 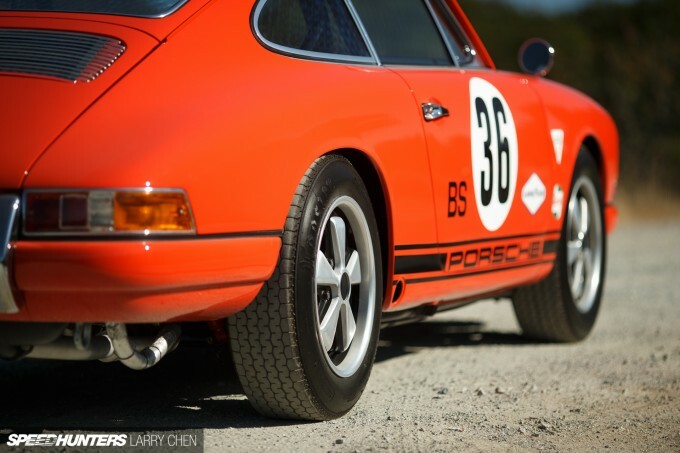 The other car I drove from their collection was their very rare ’74 RS 3-liter Carrera. 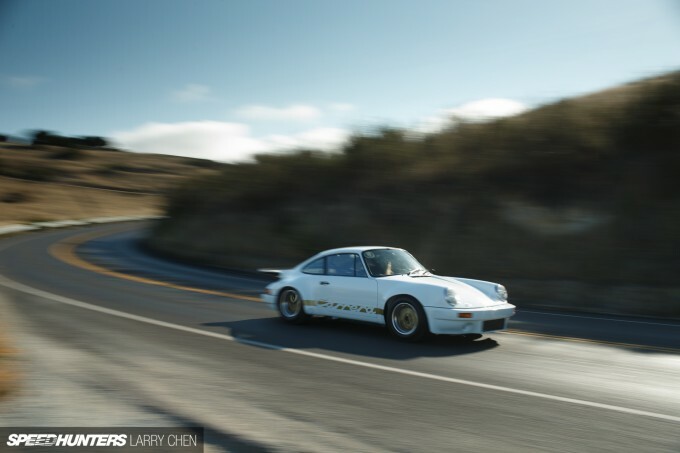 One of the great things about the Ingram Collection, other than everything I just said, is that they have one of every model of RS ever made, starting with the ’73 RS and including the ’74 RS, 964, 993, and 996 GT etcetera. 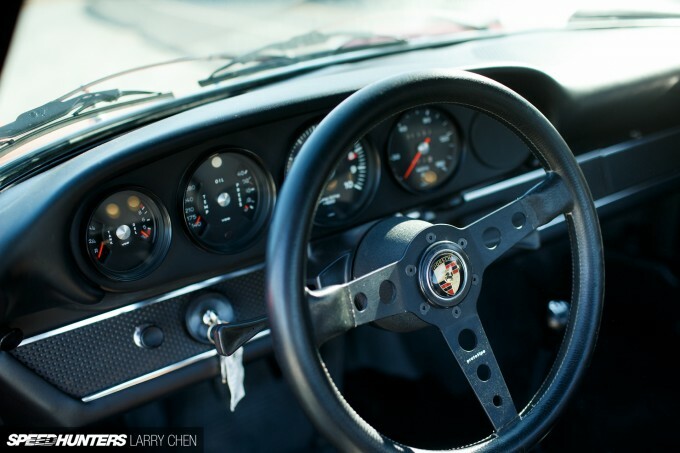 The great thing about the ’74 911 RS Carrera is that it really did remind me of 277 in the sense that it’s a lightweight [car] from a similar era. It’s got some more bottom end, mid-range torque. That’s why I drove that car the same way I drive 277, which tends to be what I call ‘spirited’ and ‘pedal to the metal’. We never got to experience the top end because we were running out of road pretty quick, but the ability to just be able to keep your foot in it and pass almost anything in that car is pretty intoxicating. So it felt very similar to the 277 in the way it shifted and stopped and handled and all its nimbleness. But where it really excelled above and beyond 277 was that it just packed a bigger punch. 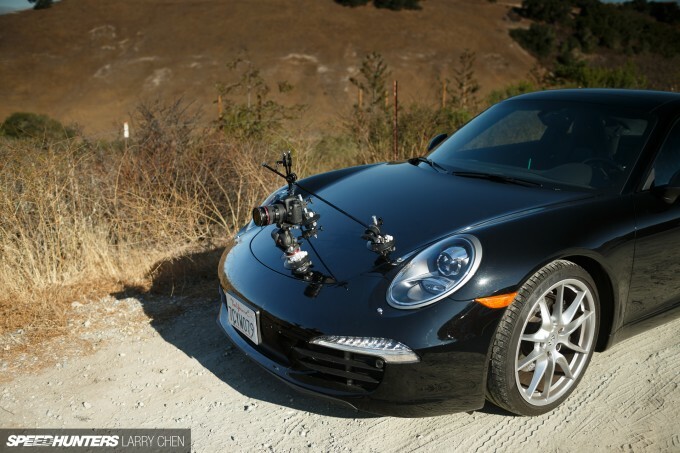 Larry: I actually had trouble keeping up with you in a brand new 991. It just didn’t have enough power. Magnus: Yeah, that car [the '74] is lightweight and it’s the perfect balance. It’s probably got about 350 horsepower. I often say it covers all the senses. 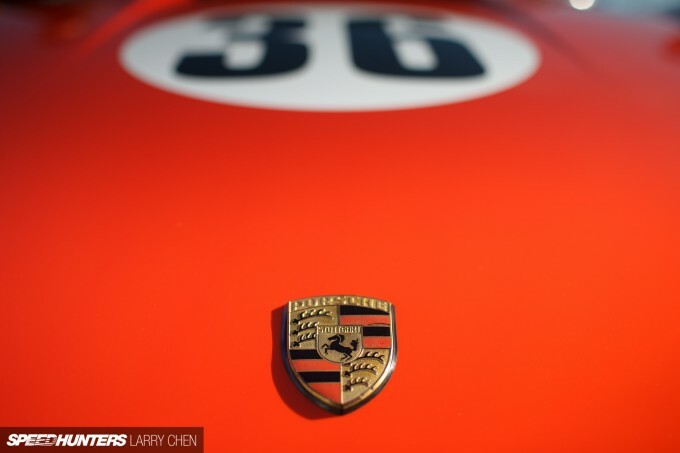 To me, it sort of represents what’s great about Porsche – it’s the variety. No two cars ever drive the same and each car has its own characteristics. 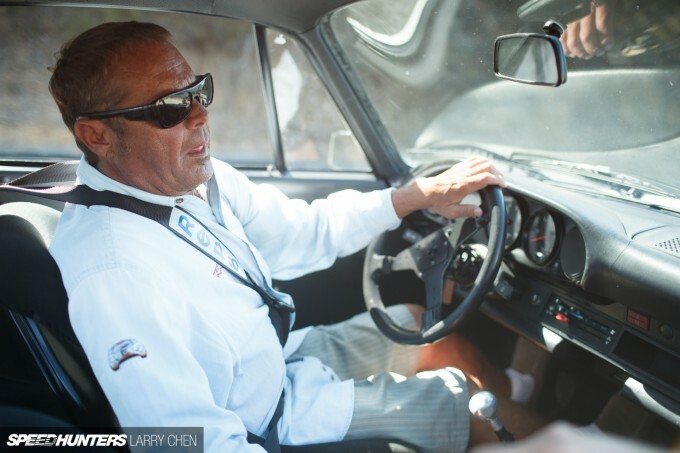 Driving the ’68 L, which was a short wheelbase, and the ’74 G-body long wheelbase, the DNA was connected between those two cars: both lightweight, both little screamers that love to rev. The difference really between the two, other than their wheelbase lengths, is that the ’74 just packed more of a punch. Larry: So tell me a little bit about the ’68. It was a pretty cool moment for me because I had the chance to meet racing royalty Chad McQueen. Magnus: Remember, we actually passed him in that car going up whatever road that was. Larry: Yeah, well you flogged that ’68 Trans-Am pretty hard. I’d say you pretty much pushed it to the limit. 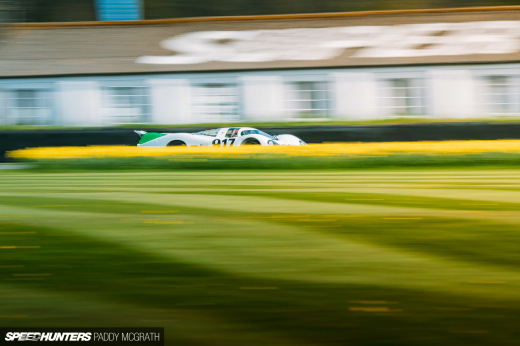 Magnus: It’s one of the great things about the Ingrams, because these are valuable cars. The cars that I own and build are inspired by these factory built cars. It’s the lineage from the ’67 R into the ’68 L Trans-Am car – Trans-Am meaning that was the car that actually raced in Daytona in ’68 and ran a lot of SCCA club races in ’68 and ’69. 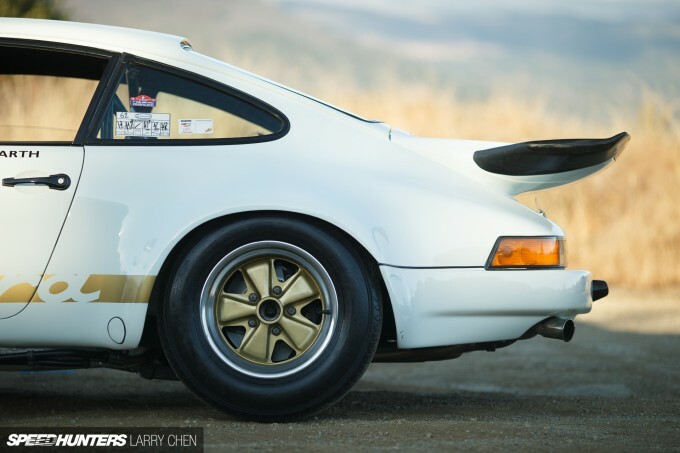 That was the foundation for what came after – the ST, the RS, the RSR. They all evolved from the ’68 L and the ’67 L and that lineage can be traced back. Essentially it’s a lightweight factory racecar that could be privately ordered through the factory or dealership. 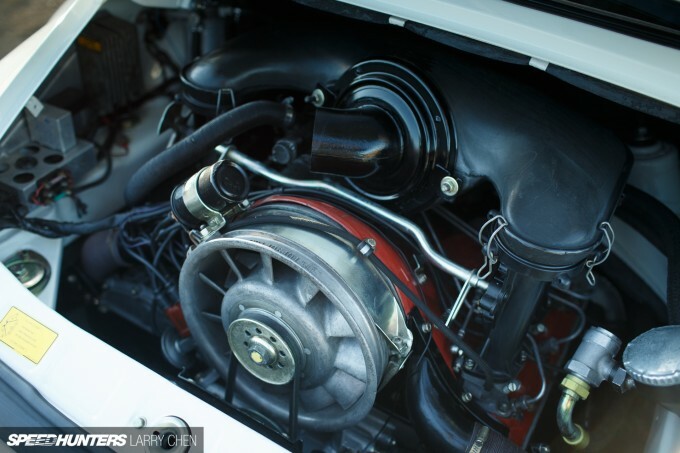 Back in ’68, you could actually walk into a dealer, order a ’68 L and strip it down through the factory in what was called their ‘Sport Purpose Race Package’ program, which was basically modifications to the engine, the suspension, and the interior out of the car. Today, manufacturers do limited runs – like lightweight specials. 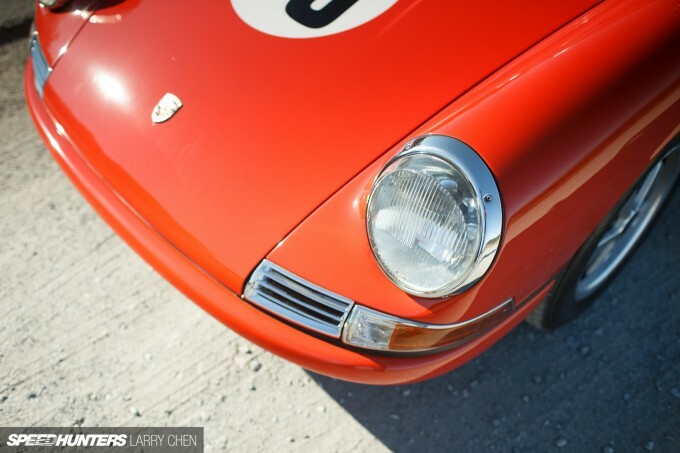 This is what Porsche was doing 47 or 48 years ago. The ’68 L is a car that I’m really connected to, because a lot of my current builds and past builds are all based on its lightweight, short wheelbase. That car is a factory model of what I’m basically gaining all my inspiration from. The only difference is this is a factory edition of 1 of only 28 built. 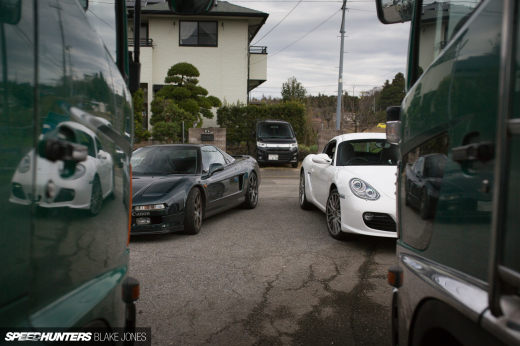 Truth be told, both of the cars are worth well over a million bucks. 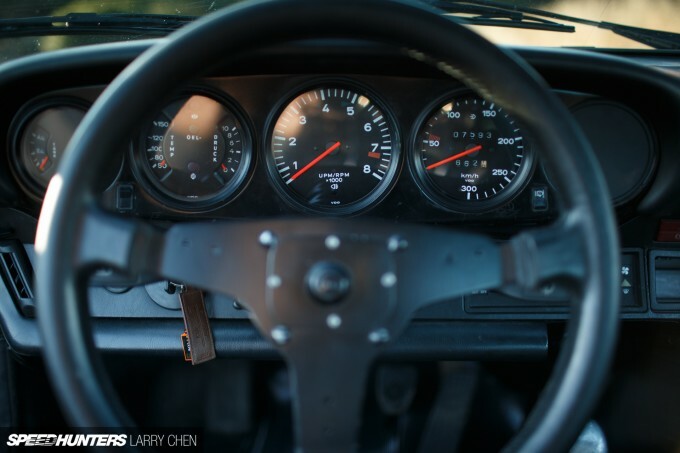 I didn’t really drive those cars any differently to how I drive my own. I didn’t necessarily think about how much those cars are worth, because when you’re behind the wheel, to me it’s the same experience whether I’m in a 1 out of 28, or I’m driving my own car. I just drive them the same way. That’s what great about the Ingrams – they’re a family of collectors; true examples of great, passionate Porsche enthusiasts. They’re sharing these really rare, valuable, and historic cars and letting guys like you and I to drive them in a spirited sort of way in a great environment. 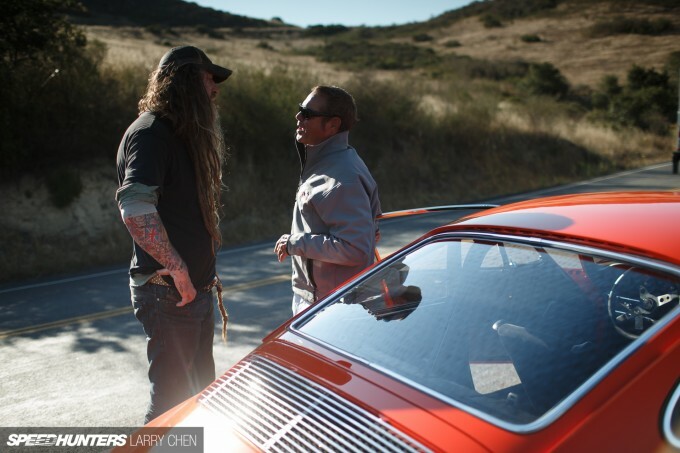 Hanging out with Chad McQueen was awesome and obviously Patrick Long was there too. 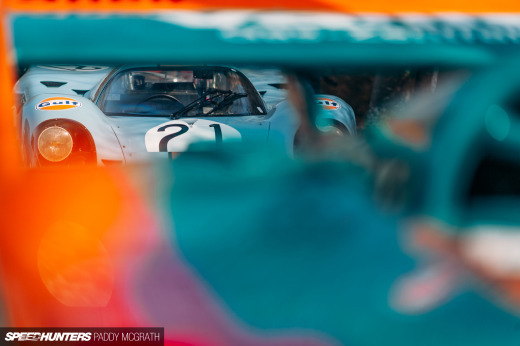 He and I were hopping in and out of those cars, so it was just a super memorable moment that I always talk about [when it comes to] Porsche. Beyond the cars are the people and this is a great example of people being brought together through the car and the generosity of Ingram. Larry: There is definitely nothing wrong with OPP. Magnus: Yeah, I’m down with OPP all the time. It’s great to have your own, but variety is great too. It’s good to experience something that I never thought I would be able to drive. 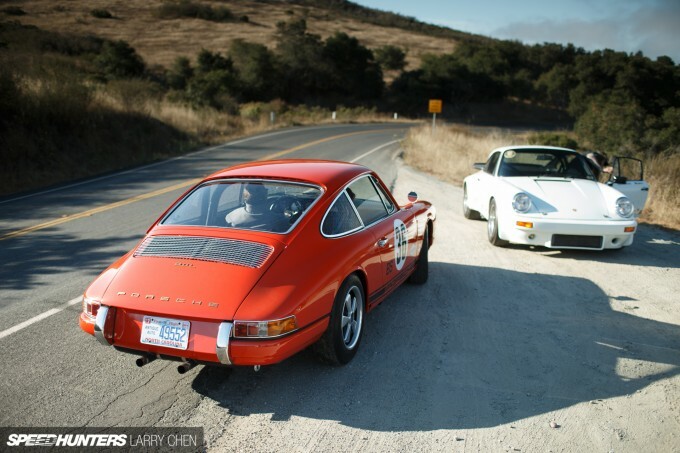 I mean for this [past] year, I drove the ’67 R – 1 of 20, the Trans-Am car – 1 of 28, and the ’74 RS Carrera – 1 of 52. I also got to drive their Carrera GT, 959, and 918 – so I’m definitely down with OPP. Dammit Larry, where was my call to second shoot or be coffee runner? Or sign holder, or grip, or you know just be there? Haha This is so dope man, love this article - this is why I frequent the site. Cool story and gorgeous shots as usual brother. 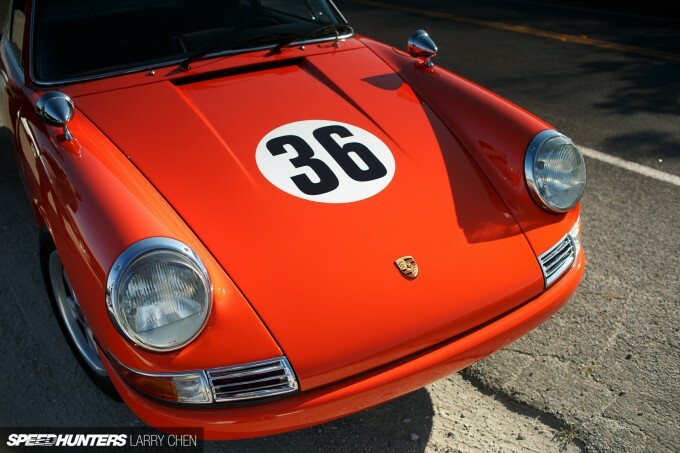 The fact all air-cooled 911's jumped up 600%+ in values (not literally but its what it seems like) make them unobtainable for most of us now. 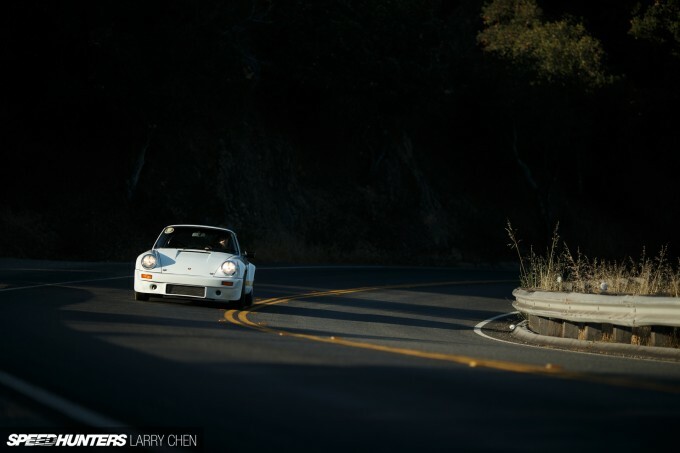 What used to be a 964 or 993 C2 selling for 24-30K is now 90K for the same example today. The Ingram's have a wonderful collection. Plus they are some very nice and open owners. I have had the privilege of being around some of their cars for the last 4 years at various events around the Midwest. I am glad that they actually use their cars and not park them up collecting dust. oooooo any chance of more on the Gemballa Mirage Gt?! tristan__palmer The red 68' trans am is the one brah! OllieBoot WHAT!!!! A properly horrendous car. That would be a downgrade from honda of america! Benjamin Meyer Haha, if you ever see my shooting come say hello!